In the good old bad old days – tens of millions of years ago, deep time they call it – there were reptilian types strolling around the colder regions. Not because they had access to beautiful Cornelius furs and could rug up, grasshopper, but because the polar regions were little greenhouses back then. Check out this article about ye olde climatic conditions, taken from an essay in the New Scientist, if I’m not mistaken, but you don’t have to subscribe to this one to read it. It’s very interesting, and a little scary. What more could you desire, my dears? 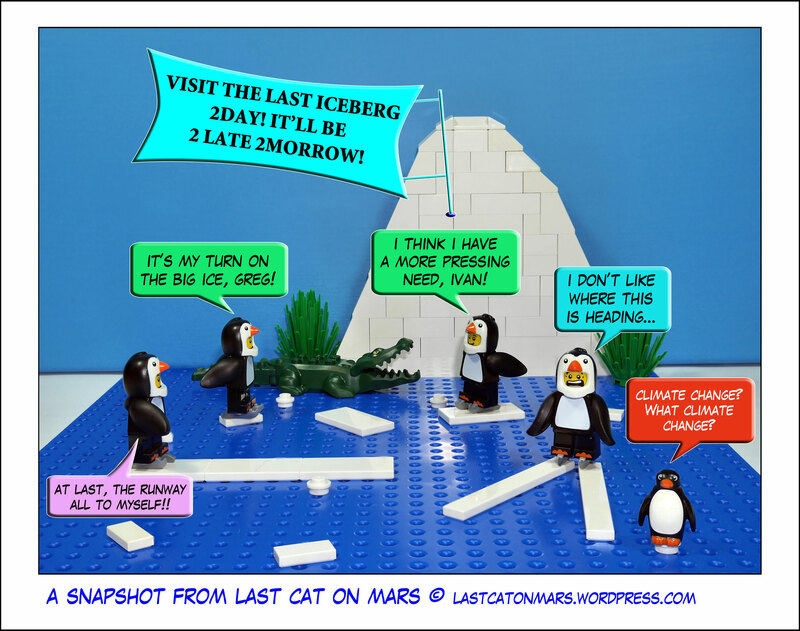 This entry was posted in Snapshots and tagged Antarctica, cartoon, climate change, comic, crocodile, ice, iceberg, lego, minifigures, penguins, south pole on January 25, 2017 by Jay Verney. 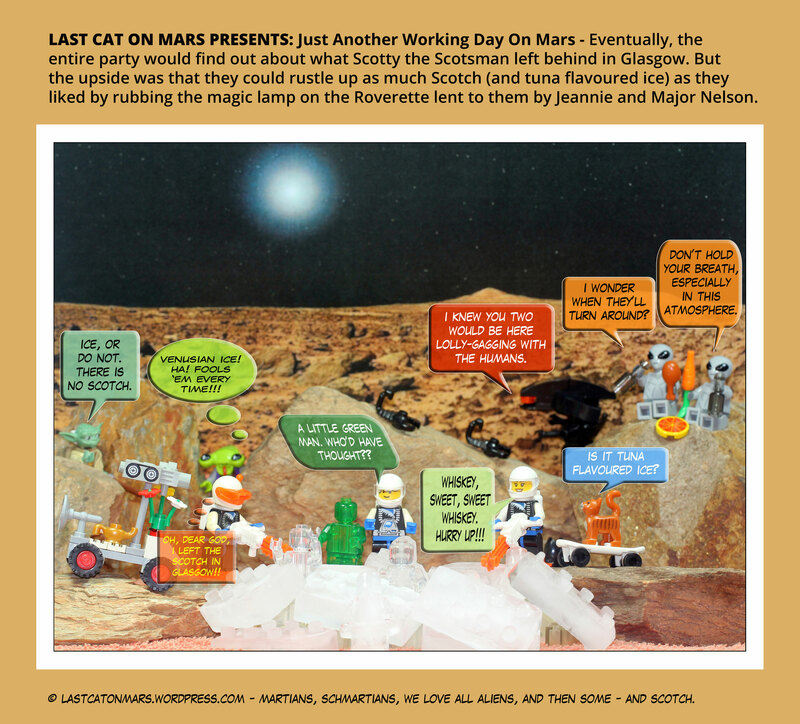 Last Cat On Mars Presents: The Fakegloo – Who Knew? There’s an upside to climate change. I’m sure there is. Is there? No? Well then, to paraphrase one of my favourites, we might as well keep dancing, at least while the ice holds. 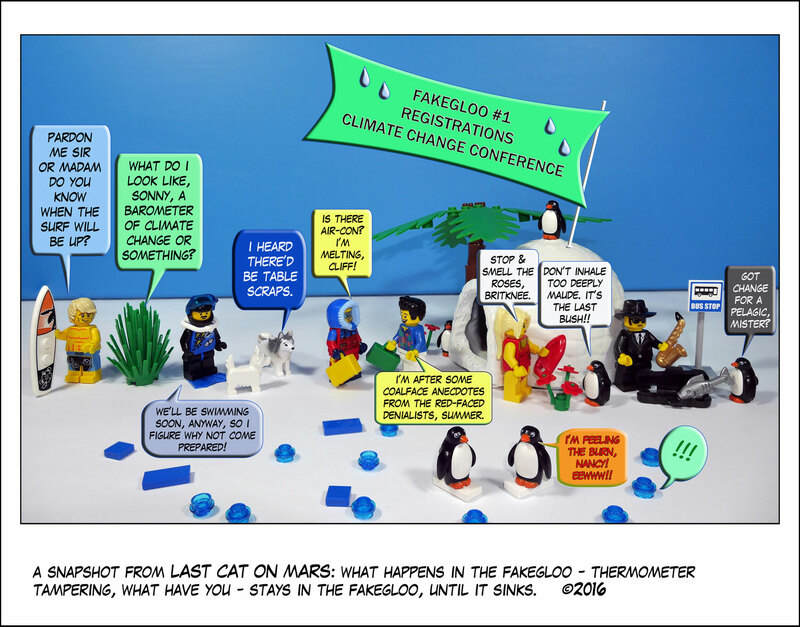 This entry was posted in Snapshots, Variety Show and tagged cartoon, climate change, comic, ice, igloo, lego, minifigures, penguins, south pole on December 21, 2016 by Jay Verney. This entry was posted in Space and tagged aliens, astronauts, cartoon, comic, Dr on Mars, ice, lego, magic lamp, Mars, Mars Rover, minifigures, Yoda on February 26, 2016 by Jay Verney. 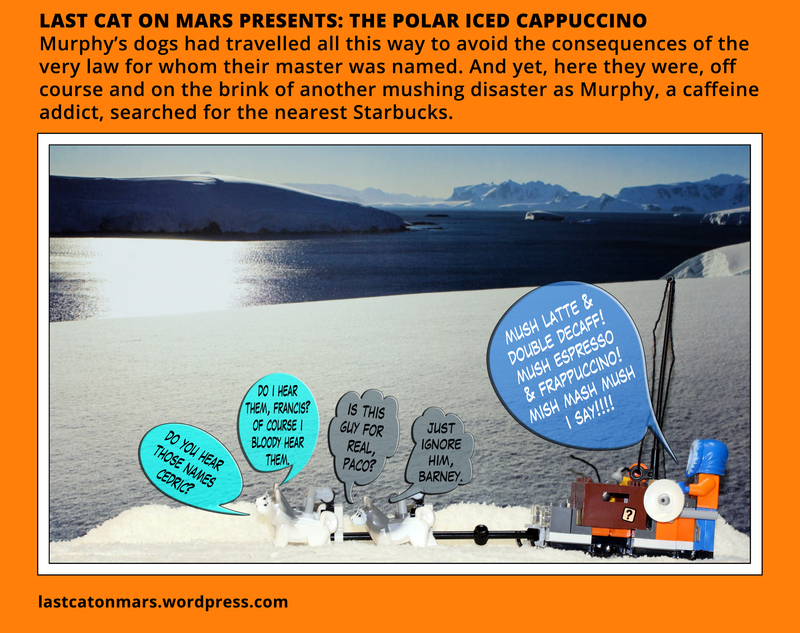 This entry was posted in Variety Show and tagged cappuccino, coffee, dogs, frappuccino, ice, lego, minifigures, Murphy's Law, polar expedition, Starbucks on December 12, 2014 by Jay Verney.